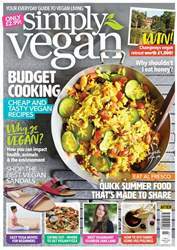 The budget cooking special issue - enjoy a range of tasty vegan dishes without breaking the bank. Plus read the essential guide to budget cooking, packed with tips for saving money on your food bill! Enter our fantastic competition to win an amazing 2-night vegan retreat for 2 at Champneys in Hampshire, worth over £1,000! 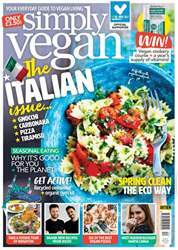 Plus, make the most of the hot summer weather with a fantastic selection of al fresco recipes, perfect for sharing with friends. Looking for lunch in a hurry? Then check out a range of ready meals, so good you would think they are homemade! 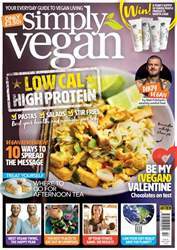 Discover why honey is a no and how being vegan makes a positive impact on animals, health and the environment. Look after your physical and mental wellbeing with our yoga flow, great for beginners and you can work out from the comfort of your home. 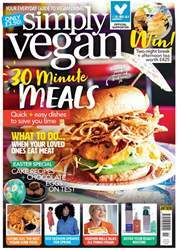 And don't forget to check out the latest summer vegan sandals and a collection of cruelty-free make-up brushes on the high street. 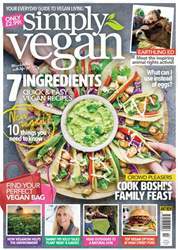 Below is a selection of articles in Simply Vegan August 2018.